On a cold November afternoon, I walked in to the smart, glass-fronted, London office of Charles Russell Speechlys, not quite sure what to expect. Based in Fleet Place, opposite Dentons and down the road from Freshfields Bruckhaus Deringer, this part of the City exudes a sense of the legal elite. I was there for a “Speed Networking” event, set up by The Lawyer Portal, as a way of giving attendees real one-on-one exposure to CRS as a firm. We sat in small groups and a member of CRS’ graduate recruitment team, a paralegal and three trainees, moved from group to group giving us the opportunity to ask them the dozens of questions we had all prepared. 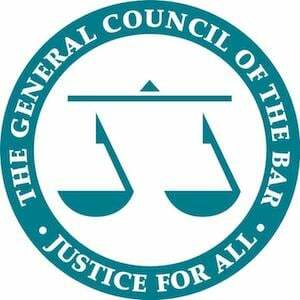 Out of the 20 lawyers-to-be attending the event there was a real mix of university, GDL, LPC students and other prospective solicitors. In the second half of the event, fuelled by a delicious array of cake and biscuits, we had the chance to network with each other as well as the CRS team. But, before I reveal all the invaluable advice I gained, I need to emphasise what a brilliant opportunity the afternoon was. The Lawyer Portal has big plans to hold more of these events and I cannot emphasise strongly enough that if you get the chance, you must apply. Far more intimate than a firm presentation and much more in-depth than a visit to a law fair, you will learn an amazing amount and it’ll look good on those applications too. The trainees and the graduate recruitment team were offering up not only their experiences of the firm, but invaluable advice on how to tailor an application to CRS. The application process for vacation schemes and training contracts opens in December and unlike at many top firms, they are not looked at on a rolling basis. This means you have until the end of January to perfect your answers without worrying that places are being taken as you write. Furthermore, the process is a relatively simple one. If your written application is strong, CRS ask you to take a video interview. And it is off the basis of these two stages that you will be invited to do the summer vacation scheme or take part in an assessment day for a training contract. There was a strong suggestion that taking part in a vacation scheme, as opposed to directly applying for a training contract, gives you an opportunity to really get to know the firm and to truly figure out if it is a good fit for you. 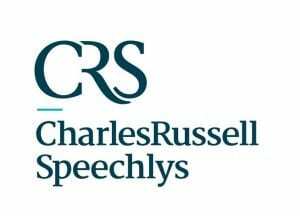 The graduate recruitment team at Charles Russell Speechlys made it clear they are looking for people with an enthusiastic approach to the law. It is a job that requires strong communication skills and an equally strong work ethic, so you need to show whatever your route in to the law, that you are ready to put your all into it. Some of the trainees I spoke to had been offered training contracts straight out of university. Others had had jobs in completely different fields (for instance, as a parliamentary researcher) before applying. But all had in common a genuine passion for the law and a real enjoyment of their chosen career. If you can demonstrate this in your application, it will stand you in very good stead. Charles Russell Speechlys is a full-service firm, which means that their expertise ranges from banking to family law, intellectual property and other areas. However, private wealth is a very strong element of their work. This means that trainees at CRS are often working with high net-worth individuals, rather than simply large corporations. So, if you like the sound of training in one or more private client seats then CRS could be a good firm for you. The trainees also told us of the incredibly friendly culture at the office and the good work-life balance, compared to some of their peers at competing firms, which is an appealing prospect for many I am sure. In summary, the day was an amazing opportunity to learn more about the industry and to network with top professionals. I would definitely recommend that you attend one of the bespoke Lawyer Portal events in the near future.